The 2018/19 golf season is up and running and although there is some big prize money and early FedEx Cup points up for grabs this month, many of the top players give themselves a few extra weeks off as they plan their schedule to peak around the Major Championships. The four big tournaments are the ones every golfer dreams of winning. Here are three players who could break their maiden in 2019 as they look to be improving all the time. Over the last two years, Tommy Fleetwood has made an almighty rise up the world rankings and has now established himself as one of the leading players either side of the pond. The 27-year-old played an integral role in helping Europe win back the Ryder Cup at Le Golf National last month and with his confidence being sky high at the moment, it would be no surprise to see the Englishman win a Major next year. Fleetwood had his highest place finish in a Major in 2018 as he finished second in the US Open. That is a tournament the man from England clearly enjoys as he was also fourth in 2017. Fleetwood can be backed at 33/1 in the golf betting to go one better next year by winning the second Major on the golf calendar. It is a surprise to everyone in golf that Rickie Fowler has still yet to win a Major. The American now has nine top-10 finishes in the big four events. In 2014 Fowler finished inside the top five of the US Masters, US Open, Open Championship and US PGA Championship. Unfortunately, 2018 wasn’t Fowler’s best season of his career as he failed to record a single victory, however, he once again played well at Augusta as he was second behind Patrick Reed. Fowler has the game to win any tournament he enters. If he continues to play well in the big events, he will land his maiden Major and that may come in April where he is 16/1 to land the Green Jacket at the US Masters. Like Fleetwood, Spaniard Jon Rahm played his role in helping Europe beat USA in Paris. Rahm won his singles match against Tiger Woods on the Sunday, an indication of how fearless the 23-year-old is. Earlier this year, the Arizona State graduate rose up to as high as number two in the world rankings following his success in the CareerBuilder Challenge. Later in the season, Rahm scored in his home country when he appeared on the European Tour in the Open de Espana. In 2018 Rahm started the Major Championships with a fourth-place finish in the Us Masters. 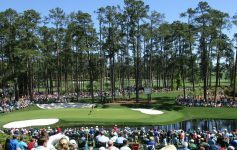 Augusta looked to be a course which suited the European golfer as he is a big hitter off the tee, therefore, he took advantage of the par-5 holes at the course in Georgia. Rahm also recorded a tie for fourth place in the US PGA Championship which was won by Brooks Koepka. 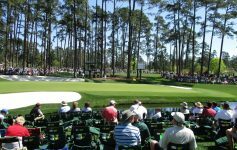 The opening Major of 2019 begins on the 11th of April at Augusta when the world’s leading players tee off in the US Masters. Previous Article Has Captain Bjorn Got it Right? Who Will Wear THE Green Jacket in 2019? 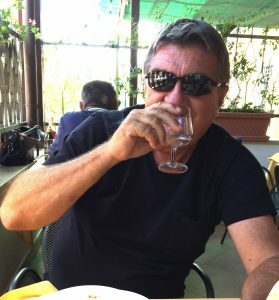 An intrepid traveler and storyteller, author of three books and more than 3,400 published articles, columns and blog posts, Ed Schmidt Jr., aka The Golf Travel Guru, is well versed in a variety of topics including, golf lifestyle, luxury travel, wine travel destinations, sports and health. Known for his sharp wit and entertaining writing style, Schmidt is a fun and easy read. READ BIO. The Golf Travel Guru T.V. 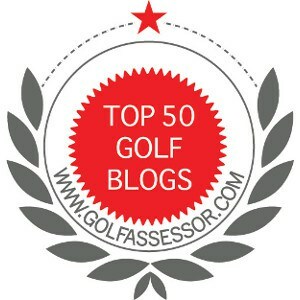 An intrepid traveler and storyteller, author of three books and more than 3,400 published articles, columns and blog posts, Ed Schmidt Jr., aka The Golf Travel Guru, is well versed in a variety of topics including, golf lifestyle, luxury travel, wine travel destinations, sports and health. Known for his sharp wit and entertaining writing style, Schmidt is a fun and easy read. © 2019. The Golf Travel Guru. All rights reserved.